Looking for a gift for the dancer in your life? No need to worry! Here is The Ballet Barre’s list of the top 5 gifts that will make any dancer leap for joy. Even when her pointe shoes are tucked away in a dance bag, any ballerina can be found practicing her tendues and jetes around the house. So why not keep pointe shoes on your feet all the time? 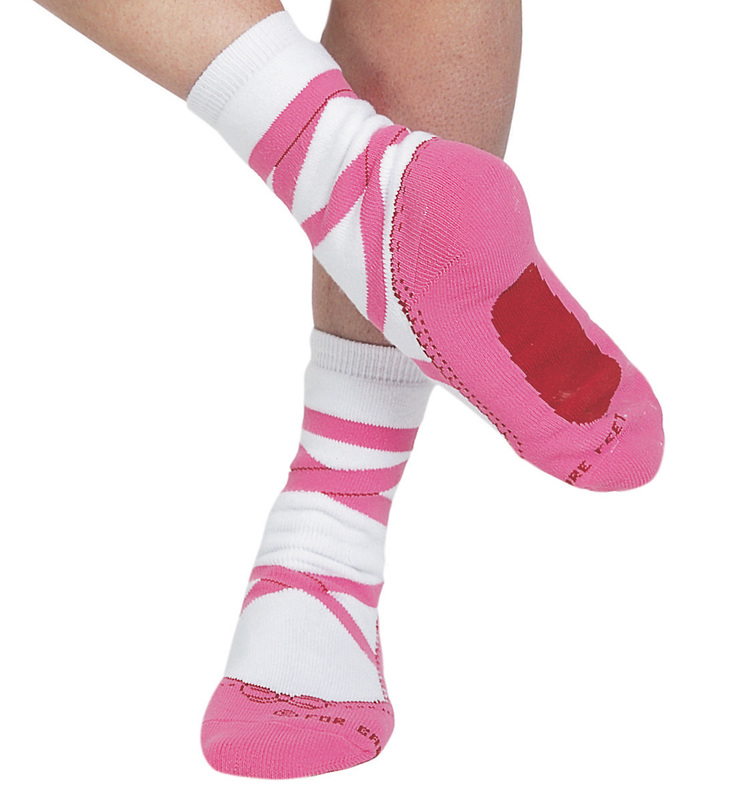 These pointe shoe socks from Discount Dance Supply are the perfect gift for the 24/7 ballerina. Or, for double duty, she can wear them over her real pointe shoes to keep her toes pretty in pink! Another great gift idea from Discount Dance Supply, these booties from Bloch are perfect for a busy dancer. She can pull them on in between classes and wear them during warm-ups at the barre. 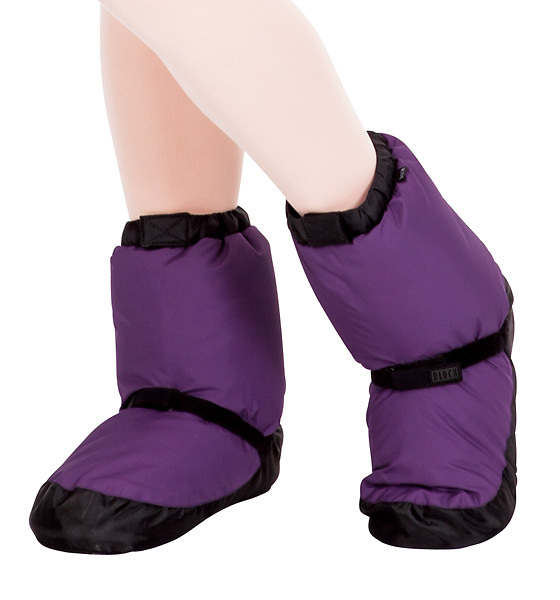 In purple or red, these booties will keep dancers’ feet warm, toasty, and ready to dance! This nutritional snack was developed specifically for dancers by professional ballet dancers and husband-and-wife team Julia Erickson and Aaron Ingley. The barres come in three flavors: black swan chocolate berry, pirouette cinnamon pecan, and ballerina spirulina. This gift is a 4.5-foot ballet barre to-go from En Pointe Enterprises. It disassembles easily and fits into a handy carrying case, so you can practice your plies anywhere. This is a great gift for serious ballet dancers who want to be able to stay in good ballet shape over breaks from class, or just to be able to warm up before a day of rehearsals. This gift would be a worthwhile investment for any dedicated ballerina. The best gift for the dancer in your life? 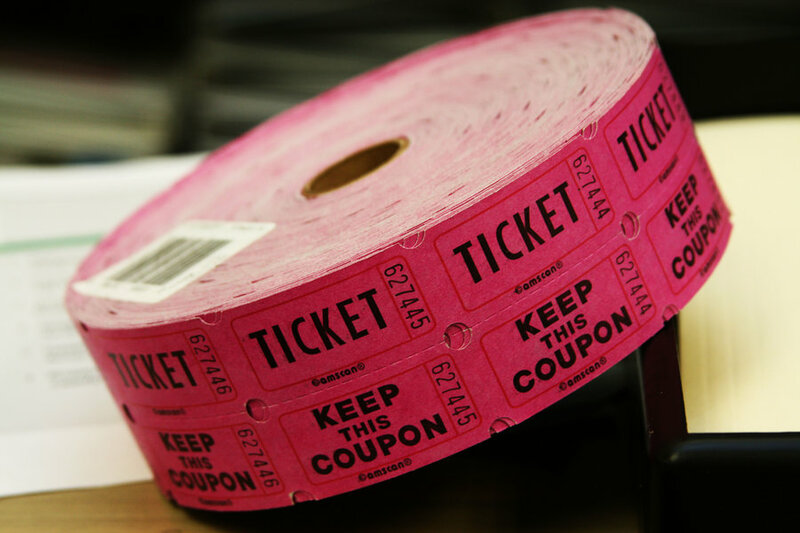 Tickets to a performance of any kind! A professional ballet, touring musical, Broadway show, high school production, dance company performance — the options are endless! Dance lovers everywhere love to watch the arts and seize the opportunity to support it any time they can…But be careful, or your dancer may jump onto the stage herself!